A brain-damaged widow at the centre of a dispute over her life-support has died following a ruling by a judge. Family members were at odds over whether retired nurse Jillian Rushton should continue to be fed artificially. Following a hearing at the Court of Protection, Mr Justice Hayden concluded Mrs Rushton, who was in her 80s and lived near Carlisle, Cumbria, should be allowed to die. In his written ruling on the case, he said Mrs Rushton has now died. 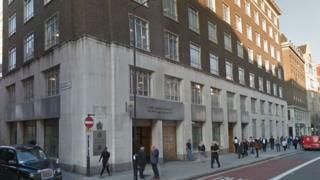 The judge had analysed evidence at a trial in the specialist court, where issues about people who lack the capacity to make decisions for themselves are considered, in London in December. He had barred journalists from revealing Mrs Rushton's identity when she was alive. However, he named her in his newly published ruling and said she can now be identified in reports. Bosses at NHS Cumbria Clinical Commissioning Group had begun litigation and asked for a decision about Mrs Rushton's future. Barrister Bridget Dolan QC, who led the health authority's legal team, said Mrs Rushton had been left incapacitated after suffering a head injury three years ago. Mr Justice Hayden heard how one of Mrs Rushton's sons wanted feeding to continue but other family members thought she should be allowed to die. The judge concluded Mrs Rushton was in a vegetative state and would not have wanted to carry on living. He was told that a year before she suffered the injury she had disclosed that she would not want to be resuscitated if she was to collapse. The judge had ruled she should be moved to a hospice and given only palliative care.